TIRANA - 'The Summer Day' has been celebrated in a different ways in some places in Tirana one of which was the launching of the book entitled "My Grandmother's Recipes: The Russian Cuisine" on March 14 this year, which was followed by the tasting of traditional Russian food cooked by the staff and students of 'Neranxi Culinary Institute'. The event- 'The Day of Russian Cuisine' - was organized by the Russian Embassy in Tirana in close cooperation with the well-known 'Neranxi' Company and the 'Neranxi Culinary Institute'. "The business and particularly gastronomy and culinary encourage diplomacies of states to bridge the cultures of people and they go ahead of diplomacy. In this frame the 'Neranxi' Company is a step ahead of the others," said the President of the Company, Nikollaq Neranxi. He thanked the Russian Embassy for cooperating in such an initiative and expressed gratitude to the author of the book Viktoria Ostrovskaja, who had come to Tirana on such an occasion. The book which was translated into Albania by Mrs. Ludmilla Karpushina, the spouse of the Russian Ambassador, was published by the 'Neranxi' company. In his remarks in the event which was attended by representatives of the diplomatic corps, members of the Albanian-Russian Friendship Association, Russian expats, journalists and the staff of the company the Russian Ambassador, Alexander Karpushin expressed his thanks to 'Neranxi' Company which made possible the practical organization of the activity. "The reasons of the organization of this tasty holiday are some, but on top of all is the fact that people in Albania are aware of and like the Russian cuisine, especially the older generation which has had contacts with my country or have studied in Russian universities," Moscow's top envoy to Tirana said, adding that there are even young Albanians who have graduated or continue their studies in Russian schools. Speaking of the traditional Russian cuisine, Mr. Karpushin said that it is very rich in variety having also its peculiarities. The ceremony was followed by the tasting of a great variety of samples of traditional Russian food and beverages. In a comment on the art of cooking the author of the book, Viktoria Ostrovskaja noted that "cooking at home is an exchange of feelings, care and joy, which keep us alive, make us believe in our strengths and go forward. It is the eliksir of youth and longevity." [post_content] => TIRANA, March 24- The Albanian language of the Arbereshe in Italy is endangered to go extinct. It has been also added to the UN project for preserving 3000 rare languages, out of 7000 that there are in the world. [post_content] => TIRANA, March 27- On the framework of the World Theatre Day in March 27, the National History Museum (NHM) has published a material regarding the artistic theatre beginnings in Albania. The first theatre how documented in our country is the Lunxheri Wedding in 1874 written by Koto Hoxhi, and staged by pupils of the normal school “Zografia” at the Qestorat village in Gjirokaster. The first theatre compositions and the first theatre show belong to the National Awakening period in our country. The first genuine play for its artistic structure is Emira by Arberesh writer Francesk Anton Santori (1814-1894), written in 1885. The NHM writes that the play was published by Jeronim De Rada in his newspaper “Fjamuri i Arbrit” (Arber’s Flag). The Albanian dram reached higher levels on later years beginning 20th century by a good many authors, such as Andon Zako Cajupi with his renowned A Bridegroom at Fourteen from 1902; Gjergj Fishta with his melodrama St. Francescu of Asiz from 1909; Fan Stilian Noli with the drama Israelis and Philistinians from 1907; Mihal Grameno with his three-act comedy The Curse of Albanian Language from 1907,  and his 1906 tragedy The Death of Pirro. The first professional theatre in Albania was the Popular Theatre which was inaugurated in Tirana on May 17, 1945. The Popular Theatre was later recognized as the National Theatre after the 1990s. The NHM writes that the theatre has a 69-year long history with a large repertoire of premieres of national and international dramaturgy. 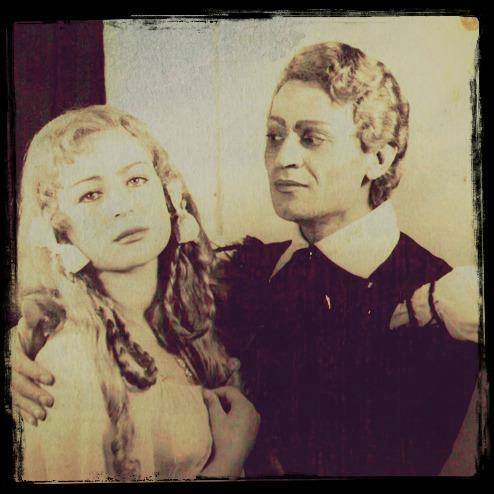 The first play at the Popular Theatre was the comedy Topaze from Marcel Pagnol, directed by Sokrat Mio. “The theatre tradition is horizontal. No one can say that the theatre exists in a world center, city or privileged building. The theatre is expanded through an invisible geography that unites the lives of those who perform it and the theatrical mastery in a single unifying gesture,” writes Cuban playwright Carlos Celdran about the National Theatre on the World Theatre Day. In 1961 the International Theatre Institute decided that the World Theatre Day to be celebrated annually on March 27. In all theatre stages worldwide prior to a show performance, the message on the importance of the theatre to the public is read on this day. This day found out National Theatre amidst many problems, such as lack of infrastructure, investment, actors with low salaries, lack of status, legal issues, and among many others also obstacles in the artistic life, for all which the artists have claimed that the Ministry of Culture has turned into a Ministry of Anticulture. Renowned artists expressed that due years the theatre was left without any institutional attention, and that the undertaken policies have actually harmed it. Actor Zef Deda said on the World Theatre Day that a population without education and art is done. “Without art, culture and school a people cannot be developed. This people (Albanians) used to have art and culture, and the school was strong. But now the theatre has drastically fallen, as the politicians of this country don’t deal with, don’t want to deal with, and are totally uninterested about art and theatre. They only claim with words we’ve done this and that, but actually nothing. They have actually completely destroyed art and culture” said “Great Master” Deda. The actor claims that the theatre needs more investments and that the actors feel unappreciated from their wages. He said that people are leaving because they don’t anything beautiful in this country anymore. He said that the government should focus on investment and find a genuine staff, instead of deciding to wreck the building, which has been an issue the actors have been facing since early 2018. Director and actress Eliona Thomaraj also said that instead of a celebratory day, the Theatre in Albania is miserable. “Theatre was born from the imitation of life, and will die when life disappears. It cannot happen that humanity to live and develop without mimicking, without experiencing catharsis and emotions,” saud Thomaraj. She said that she calls out to the Minister of Culture to reconsider the national theatre as Thomaraj sees the citizens to be “spiritually decomposing and degrading.” A dignified artistic life ensures a healthy civic society. She said that unfunded theatres are turned into catacombes and relics. She added that this should stop, and instead the glory and cult status should be returned to the theatre. And if it wasn’t only for the National Theatre demolishing, the Prime Minister Edi Rama has warned that the Puppet National Theatre might also be demolished. It should be reminded that the building where the Puppet theatre resides was the first Albanian parliament. 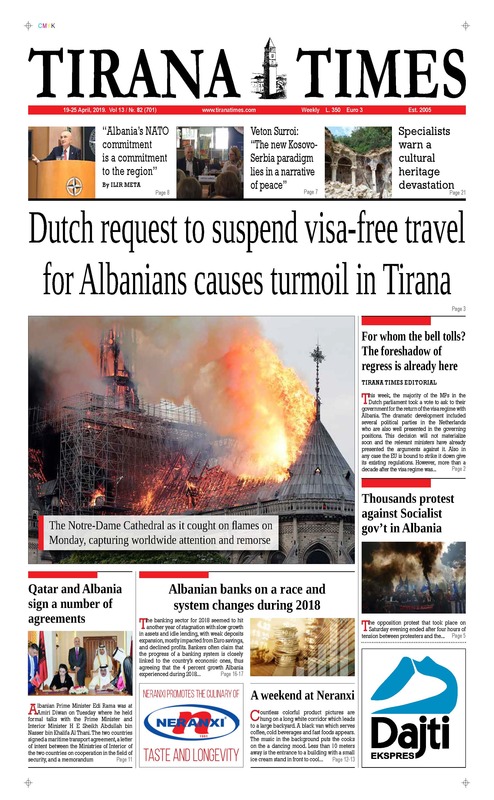 However, the artists have backfired to not allow this project to come into existence, or any other seemingly plan from Rama to turn the culturally historic buildings of Tirana into ashes. [post_content] => TIRANA, March 25- In the framework of the Global Money Week which is during March 27 through April 2, Prof. Dr. Alqi Naqellari has provided a short history of the Albanian money. The history of our money is rather ancient, thus Prof. Naqellari has focused on the period of the 20th century on. Other historians like Kristo Frasheri and Beqir Meta have also written on the history of Albanian money. The Central and Commercial Banks have also given their contribution, along with national and international conferences. The Central Bank also opened a museum regarding the our currency’s historic. 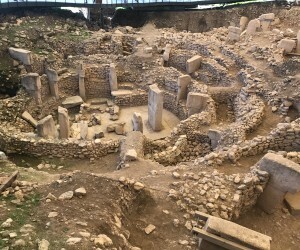 A 3000 years history has also been recently published in a book titled “Money, Banks and Society” written by Anastas Angjeli and Aristotel Pano. 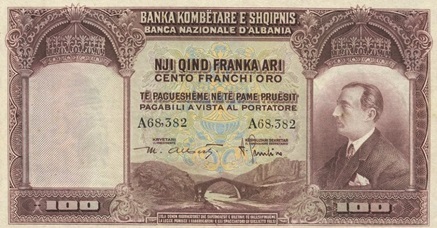 Prior to the National Bank of Albania printed our own banknotes, Albania had foreign currency such as Turkish, Austrian, Serbian, Italian, French, etc., in circulation within its borders. As there was no local currency there was clearly no exchange rate with this foreign banknotes. The National Bank started printing its own money after 1900, but their usage was limited only to the municipalities that issued them, or for their issuing purpose. For example in 1905 there were issued “loaning banknotes”. Kavaje, etc.. 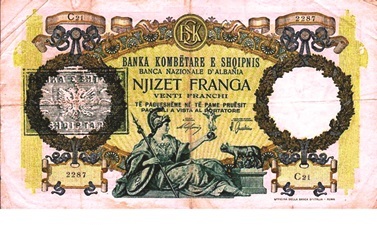 In 1913 was established the National Bank of Albania but which didn’t have any activity. In 1926 the Bank of Athens opened two branches in Durres and Korce. Then in 1934 the Yugoslav Export Bank was created, called Export-Banka, and three years later in 1937 the Italian Agricultural Bank was also established. On January 13, 1945, the National Antifascist Liberation Council directorate adopted the law on the cancellation of the National Bank of Albania's conventions and its shares. In Jan. 1, 1979 the Agricultural Bank was established, and in 1992 the two-level banking system was established. A two-level banking system states a hierarchy system within a country where the National Bank is the first-level, followed by other commercial, second-level banks. 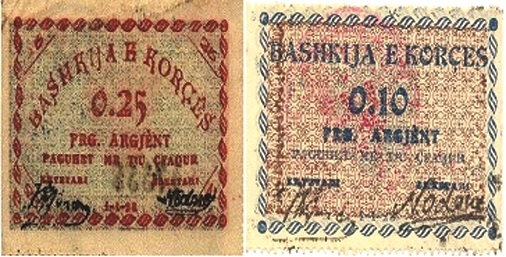 The note was issued in several regions in Albanian and French with various representations, such as TEODENIK KOMNENI ARBËNIA, SKANDERBEG ORA E SHQYPNIES (Albania’s Time), BURRI EPERI and LESHI I MADH MACEDONIA. 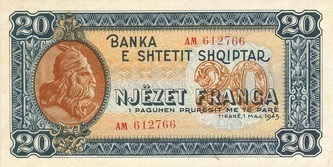 The Albanian banknote from 1913. They were called Sheme Defter and were used generally for travelling. 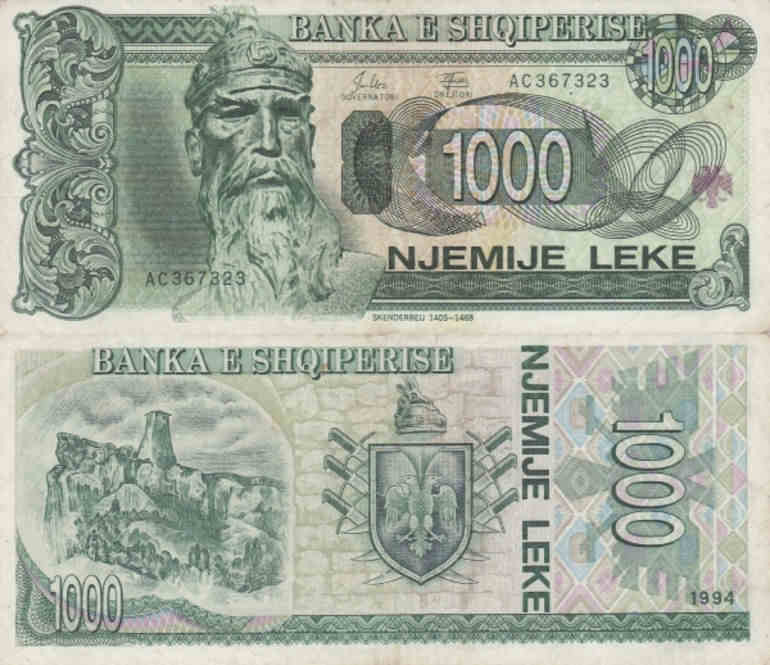 Their values were of 0.5 and 1 grosh (20th century Albanian currency), and 10 lek. They had the name of Esat Pash printed. 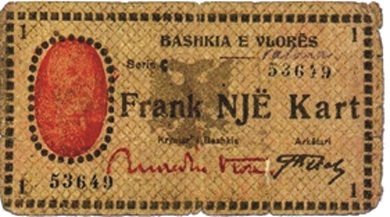 The 1917 banknote issued in Korce with the value of 0.5 and 1 francs. The first Albanian coin was issued by the National Bank of Albania in 1926. Its value was 5 francs, with the portrait of King Zog as its heads and a villager riding an oxen as its tails. On its tails was written SHQIPNI ALBANIA. After this coin was issued the first Albanian Leku in 1926. On its heads was the portrait of Great Alexander, whereas on the tails was Alexander riding a horse. After 1926 other cuts were also issued. There were also other cuts in gold with the portrait of King Zog, with lion and eagle figures, and also Skanderbeg helmet. After the Italian invasion it was also issued a note with the portrait of Victor Emmanuel III. 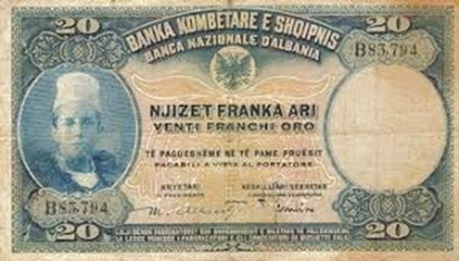 The first national Albanian banknote was issued by the National Bank of Albania is 1926, however other scholars claim the date belongs to 1925. This was the first instance that the currency Lek was also adopted, with the note having the value of 5 lek, valid for 1 gold francs. The Albanian government protested on the one-head Italian eagle printed in the note, thus the money circulated only for five days. 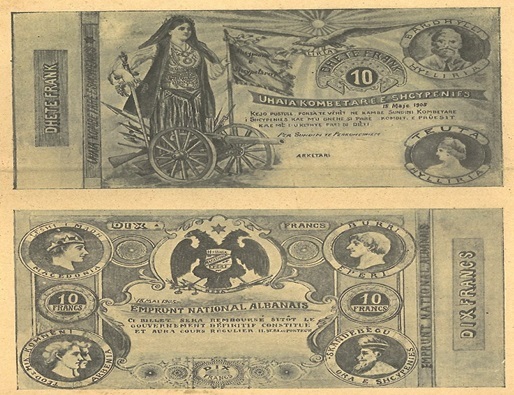 It was printed in Napoli by the company Richter with the signature of Governor Mario Alberti and his deputy were in this banknote as well as some others. The new cut of the 5 lek banknote with our two-headed eagle issued in 1940. The National Bank of Albania issued in Feb. 28, 1926, banknotes worth of 5 gold francs and 20 gold francs. 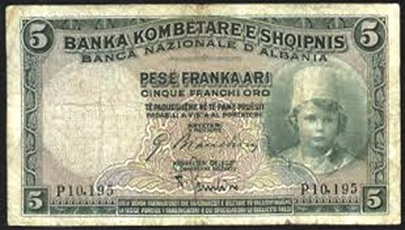 The 5 gold francs from 1926 was in two languages and has the picture of an Albanian boy with qeleshe. The 20 gold francs also displayed the picture of a boy with a vest and qeleshe. The 5 gold francs as of 1939 cut. In May 5, 1926 a 100 francs banknote with the portrait of King Zog was also issued. 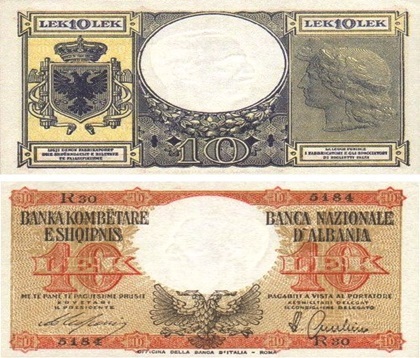 In 1940 the 2, 5, and 10 lek banknotes along with a 100 francs were cut with writings both in Albanian and Italian. This was during the fascist invasion of Albania. After 1944 the new banknotes socialist regime started to be issued. In 1945 there was a last 20 francs banknote issued and afterwards all currency used was Lek. In 1945 it used to be worked with money and checks. Following is a picture of a 1945 500 francs banknote. 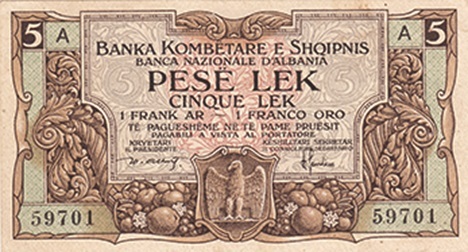 In July 7, 1947, a law decree set Lek as the only currency in Albania, outplaying the franc and indefinitely taking it off circulation. After this moment the Lek banknotes start to periodically change their symbolic and sizes. 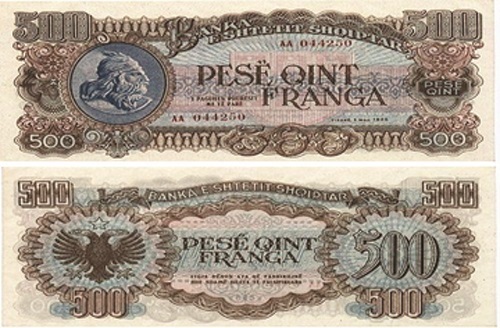 In 1947 the 10, 50, 100, 500 and 1000 Lek notes were issued. A mutual characteristic was the picture of a moustached partisan with a starred hat, that was facing the stamped eagle. There is nothing on the back however. These banknotes were very similar to the slavic one. In 1949 through 1957 new 10, 50, 100, 500 and 1000 Lek banknotes are issued which represent the work and societal activities of the socialist regime. They would display portraits of partisans and Skanderbeg, and also wheat harvesters, a tractor with tires loading grains, high voltage pylons, a miner with a pistol, etc.. What is worth noting is that neither banknotes nor coins had the portrait of Enver Hoxha in them. 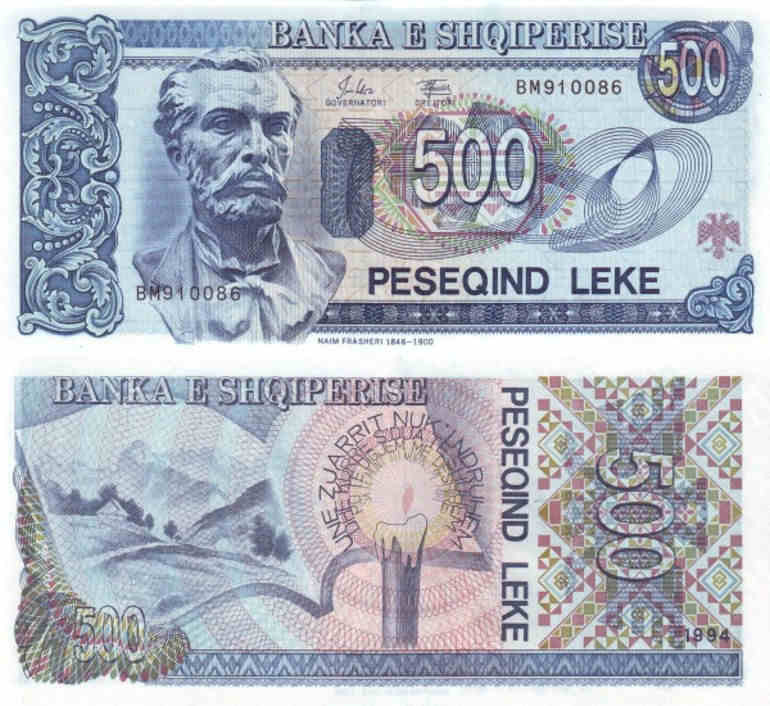 Post 1957 the new Lek banknotes were introduced with values of 1, 3, 5, 10, 25, 50 and 100 lek. After 1992 a series of new cuts in coins and banknotes were realized that offered more security in their holders. [post_content] => TIRANA, March 20- The film "Streha Mes Reve" with screenplay and directed by Robert Budina has been awarded the "Global Vision Award" winner at the "Cinequest Film Fest" in San Jose USA. "Streha Mes Reve" ia the second feature of the screenwriter and director Robert Budina who has had his world premiere at the “Tallinn Black Nights” film festival. In the movie "Streha Mes Reve" the leading role of Besnik is performed by internationally renowned actor Arben Bajraktaraj (known for: Taken, Harry Potter and Deathly Hallows). The film tells the story of Besnik, a shepherd in a village in northern Albania who is looking after his father, a former communist. Where different religions have found a way to peacefully coexist, Besnik is a devout Muslim, his mother was a Catholic, and his brother turned to the Orthodox faith in Greece. Even after discovering that the old mosque of the village was a church and that the building was actually separated between the two religions in the past, the tranquility of everyday life can only be preserved with the help of Besnik. However, after his father's death, drastic changes threaten the family of Besnik and the shepherd is bound to make his way. The film was funded by the Albanian National Center of Cinematography and produced by producer Sabina Kodra from Era film, in co-production with Radio Televizioni Shqiptar and Cristian Nicolescu from Digital Cube from Romania. The film “Streha Mes Reve” was filmed by director of photography Radu Jude, Marius Panduru who also filmed “Album”, triumphing at the Sarajevo Film Festival in 2014, Ştefan Tatu (Wolf) and composer Marius Leftarache. The casting is also composed of other renowned actors as Esela Pysqyli, Irena Cahani, Bruno Shllaku, Osman Ahmeti, and others. The film premiered in Albania on December 13, 2018. With the script and directed by Robert Budina, the main message that carries “Streha Mes Reve” is the belief in God, in oneself, and in others. In his notes, director Robert Budina writes that he did not want to make a movie about religion, especially a historic one. “I didn't even want to make a film about the particular religious coexistence or the traumas that the communist system in Albania did. I wanted to make a personal, intimate, subjective movie about an individual's relationship with the community, family, religion, love, God, and nature,” said Budina. [post_content] => TIRANA, March 19- The “Neck of Bazaar” which is the museal complex in Gjirokaster for its historical and cultural values, is undergoing a full rehabilitation. But removing the pavement has brought some negative feedback from cultural heritage specialists who have been demanding no damage, as this would impact on an expulsion from UNESCO. The Minister of Culture Elva Margariti retaliated that the forgotten splendor to this bazaar with the rehabilitation of facades and roofs has been returned, as a second phase of the project is being initiated. These interventions are necessary as today we have a growing tourism development and Gjirokaster is central to the government’s investments in this sector. “3.5 million dollars worth of investment, over 5000 square meters of restoration, and revalued properties, returning Gjirokaster its splendor like never before together with our strategic partner AADF,” said Margariti. 67 guest houses are built so far in the historic city and the “Neck of Bazaar” is part of the investments being made in the framework of the project “Integrated Urban and Touristic Development in Albania” in the urban centers of Saranda, Gjirokastra, Berat and Permet, financed by the World Bank at the value of 63.8 million euros. The rehabilitation of the engineering infrastructure, the water supply network, electricity, the anti-fire network, the Lan network and the restoration of pavements and sidewalks are being carried out. The cobblestone dismantling process has first started with its detailed documentation on the routes in which the interference is being carried out and the respective stones are stored according to the routes where it was dismantled. It is promised that no damages will happen. The cladding layers will be stored and after the completion of the infrastructure works after the completion of the infrastructure works, they will be restored. The good news is that pieces of cobblestone that were thought to belong to earlier than the 1970s were discovered during the works. The Archeological Service Agency has been notified regarding all this information and the materials on these findings will be reviewed at the National Council of Archeology. However, in the past years the interventions made by the institutions seem to be very scarce for the historic center of Gjirokaster. Cultural heritage specialists have repeatedly demanded not only emergency interventions when cultural monuments jeopardize, but also a sustained maintenance, and according to them, for years it was not at the right level. The director of the "Gjirokastra" Foundation Sadi Petrela has also joined the responses of specialists regarding this case. No less critical of the interventions that the Ministry of Culture has done and continues to do, Petrela among others says that the historic center is risked to be expelled by UNESCO in case this situation continues. One aspect is that some of the restorations are very controversial. Petrela said that it is not the case to say good or bad, because it goes into detail and technical arguments, but there is no kind of strategy and direction, there are no clear rules of play. There are examples of failures or incorrect restorations that indicate that there is much to see and in terms of the effectiveness of these investments with regard to the preservation of cultural heritage. The second aspect is how effective these investments are to bring economic and social development on the basis of conservation restoration preservation. In fact, it is not thought much about the developmental aspect, we talk a lot about the folkloric asket, our heritage, etc., and how worthwhile it is, how worthwhile, and how much more development can be discussed a bit. Everything remains within the framework of the propaganda and framework of party politics of the day and the monuments that continue to be destroyed. “Gjirokastra definitely is risked getting out of UNESCO and there  are two dangers. Lack of investment and wrong investment,” said Petrela. He said that there are 500 illegal buildings in the historic center of Gjirokastra. There are 500 flats  in cultural monuments including the religious ones, and so is the number of illegal constructions. It risks Gjirokastra from mismanagement, illegal construction, lack of investment, lack of plans and projects. [post_content] => TIRANA, March 14- During March 8 and 9 of 2019, 13 Albanian video-artists presented their works to the Austrian public at the Belvedere 21 museum in Vienna a multimedia art festival titled “Déjeuner avec Marubi,” to introduce themselves to the public, and also provide a deeper understanding of Albania. Some images display people crying over the death of the dictator, others the colorful cubist shapes over wrecked facades, and another image showed a girl adding colors to a black-and-white picture of her mother. Some artists like Anri Sala and Adrian Paci have long emigrated from the Albanian art scene and are contributing to the contemporary European art scene. Other artists have studied abroad and worked in western art scenes collecting experiencing so they can experiment with the Albanian heritage. Such artists are Silva Agostini who lives in Berlin, Elsa Martini in Vienna, Violana Muranaj in New York and Tirana, Ermela Teli in Switzerland, Adrian Paci in Milano and Shkoder. It’s been a while since the Albanian art has gotten out from the provincial artistic channel, however artist Adrian Paci said that we are still a small country averted a bit from the main cultural and artistic discussion channels. Yet, we are not expelled from it. “This festival is part of those grand attempts to create a dialogue between the Albanian and the international art scene, but these are processes which should be kept constantly alert,” said Paci. Some material for the Albanian artist comes from Enver Hoxha’s regime, who censored the largest income of artistic composition. The dictatorship heritage is no part of the artistic imagination. A sour past transformed into art can always remain actual, as it happens with Paci’s video “Interregnum” that discusses the individual’s deforming during communism. It is also depicted in the monologue of artist Driant Zeneli who recalls his childhood during the regime while painting an autobiography through his photographs, and in the visual display of the regime victims’ stories prepared by artistic group “Memo” with written texts of writer Agron Tufa. In the project MEMO the previously inaudible victims finally have the chance to confess their stories. Their voices of pain are the voices of the artists that are living freedom today. A memorial over the regime that only art can elevate. According to artist Leonard Qylafi the multimedia instruments are a proper tool to face this trauma. Words and visuals aren’t enough that is why absorbing the surrounding environment through, together with documentation are necessary. “Nailsong” is a powerful video which unites the power of sound with visuals, where a stirring hand draws unclear concentric circles in the presence of a warning voice. The artistic video is a genre embraced by Albanian artists. This terrain isn’t dominated by male artists, as female artists have been experimenting with images and their reflexions for a while now. 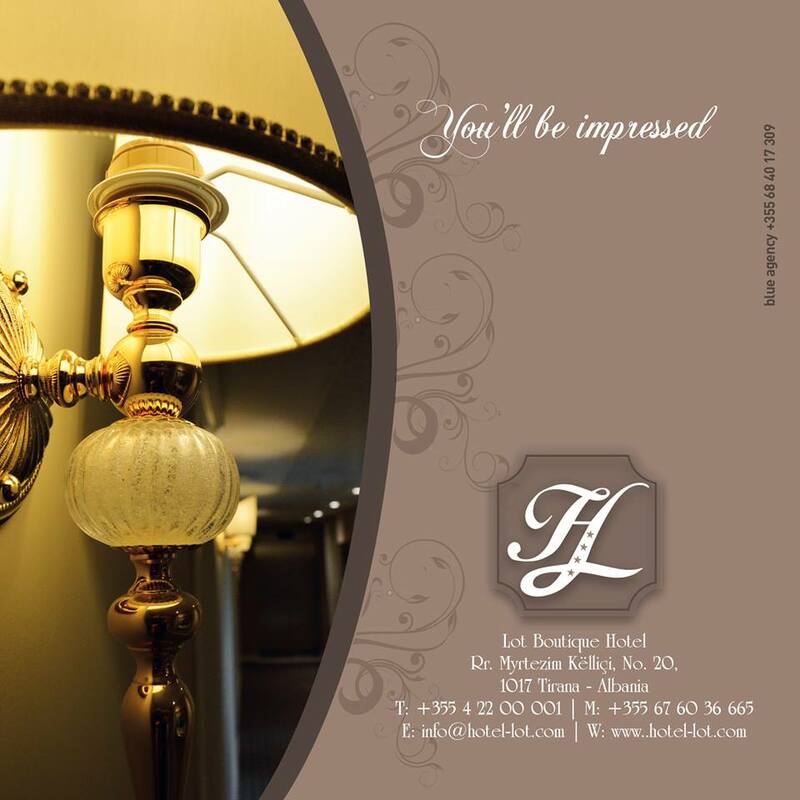 A special focus on this festival were actually works of Albanian female artists. “Female artists aren’t introduced yet as they deserve it, a phenomenon present worldwide. Since the first day of this festival was also March 8, the International Women’s Day, it was an almost obligation to put a gravity point to the art scene created by women,’’ explained Annemarie Türk on the choice. The majority of the female video artists come from the painting world. Violana Murataj discovered artistic videos after a camera came into her household for the first time. She said that everyday she would discover something new and feel closer to the medium. After she studied in New York she returned in Tirana because of the Albanian climate. “Even more that Albania offer you the opportunity to touch artistic themes in the social or family spectrum, there are many tangible themes for us artists and they create space for composition for each artist,” said Murataj. Elsa Martini is another Albanian artist but who has been living in Vienna for 10 years now. She turns into art not only her homeland remembrance but also her experience from the foreign country. Albania and Vienna for her are “interference” that enrich one another. She said that she had to be assimilated with the culture in Vienna but also with rewatching her history through another perspective. She had to restructure her thoughts, emotions, and her whole life. In her work “Executing love” she elaborates on her emigration experience. A kiss between two people that seems to be never finalized, a man and woman in security uniforms, and an interrupted kiss by a glass. Another female artist Ermela Teli was introduced by her work “A political care,” an artistic video on the Roma families living on the suburbs of Albania’s society. Teli has been living in Switzerland for three years now. She understands art as “inner need to communicate, even outside the walls of Albania and the economic problems, I speak, feel, and live in my creative manner.” She said that her artistic mentor is life itself and what she discovers through challenges, circumstances and events. Other female video artists like Donika Cina, Alketa Ramaj,  and Silva Agostini, brought brief moments that oftentimes were private reflections which through art they were approached in a different dimension, that of human connection. 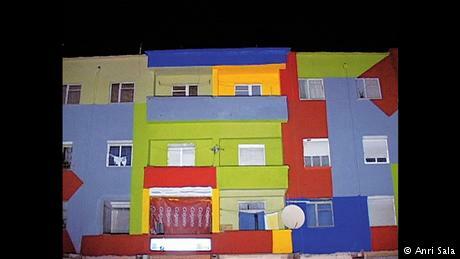 The colors are used to avoid the sadness of a “dead city”, shouted by the background voice of current Albanian prime minister Edi Rama when Mayor of Tirana, who was the first to undertake the project of painting the facades on the capital’s buildings. 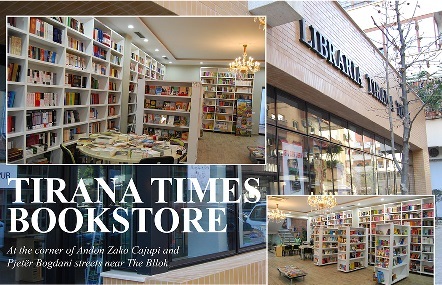 As the camera documents the changes in Tirana, the typical background noises of the city are heard. These scenes are seen in the introductive works of renowned artist Anri Sala, “Déjeuner avec Marubi” and “Dammi i colori.” Sala himself however, missed the festival and was only represented by his internationally acclaimed works. Video artist Leonard Qyfali brought another perspective to this view of changes experienced by Tirana by considering the chaotic changes. In a photo montage it is documented the scenery transformation step by step in front of the artist’s window. Images that make one also understand the urbanistic anarchy that associated Tirana. For politically involved artist Ergin Zaloshnja art is a tool to criticize the structures of power. His work “The last hope” documents a project close to Tirana’s artificial lake. “Déjeuner avec Marubi” was a festival full with intensive images, yet limited to only two nights. During the intervals of the video introductions the Austrian public had the chance to connoisseur the artists through discussions. When one hears the Albanian artists speak on their perseverance to continue their hard path as artists, one can also understand that this path holds strong motifs ready to be transferred into art. “Precisely in the far-from centers suburbs you can find projects and other interesting things happening, especially in the space of arts and culture, and the Albanian art scene has been an important part of the European art for a while,” concluded Annemarie Turk. [post_content] => TIRANA, March 11- Balkan Insight (BIRN) investigative news outlet and its Albanian branch Reporter have published an article by Jack Davies on Muhammad Ali who casted the foundations of the modern Egyptian state. Ali was allegedly of Albanian heritage, but that statement among many other are still under a question mark. From all the biographies of historical persons who became a somebody from being a nobody, Davies claims that only a few of them can be called as more extraordinary than Muhammad Ali’s story. Ali was an unknown Albanian who planned his path from the darkness to becoming the “father of modern Egypt,” with his successors running the country until 1952. He passed away in 1849, and on March 4 was his 250th birthday. Ali was one of the unique cases who made it without anybody’s help, however, his story is quite mythologized. There are a few questions that Davies raises. Was March 4 his real birthday? Or did he choose this date to enforce his brand as Napoleon Bonaparte of Ottoman Empire (Bonaparte also celebrates his 250th birthday this 2019)? Was he really Albanian, or was this a pushed fact to attract Albanian soldiers under his command? Whenever his birthdate or who his ancestors might have been, it is accepted that he was born in Kavala, 150 kilometers east to Thessaloniki. Just as with many history protagonists, his father died when Ali was young and left him under the care of the local governor. Napoleon Bonaparte was his hero. If it wasn’t for Bonaparte’s invasion of Egypt in 1798 then history perhaps wouldn’t have heard of Muhammad Ali. Egypt was an important territory for the Ottoman Empire and when the French Emperor invaded it, Fahmy writes that the Sultan panicked. His first reaction was to send an army through Syria. He also later sent a smaller fraction of 4000 Albanian soldiers to join the war through maritime, which took a new smaller contingent with it from Kavala. “Muhammad Ali is part of this force, and the earliest sign of him comes from entries to his connection to this Albanian contingent,” writes Fahmy. Halfway through the Mediterranean, the Albanian contingent leader died and the second commandant suddenly disappeared once the ship sailed. This made that Ali to take things to his hands. It is assumed that this is the moment that Ali wins his Albanian identity, or the identity that catapults him to greatness. Academic Ali Afaf Lutfi Sayyid-Marsot from University of California wrote in 1984 that he had no doubts on Ali’s Albanian origin. “Due to the kinship character of the Albanian bodies and their loss of high commanders, these soldiers would only be led by another Albanian. This together with his qualities and charizma helped Ali towards his rapid growth,” wrote Sayyid-Marsot. An anonymous writer for the 1841 edition of the Blackwood’s Edinburgh Magazine also wrote in conviction of Ali’s Albanian heritage. He describes him as an Albanian, opposing the general reportings of him as a beggar, slave, or porter. This writer admitted that priot the death of Ali’s father, he was a military officer patrolling on Kavala’s streets. Fahmy on the other hand believes that the Ali’s Albanian heritage are part of his mythology, together with allegations of sharing the same birth year as Bonaparte. This comes when the leadership of the Albanian forces turn to Ali, and he becomes thus connected to them. Fehmy writes that he exploited this because after the leaving of the French army and the backing out of the Ottoman forces, Albanians are the only ones left. And they were quite scary, he notes. “Thus, he connects after them because he thinks that there is something on the move, and he deeply connects to them, and this is where the relationship starts,” wrote Fehmy. Fahmy said that the key to Ali’s character are the anxiety and miracle he felt when he arrived in Egypt in 1801. After Ali saw the treasure in Egypt, he couldn’t imagine returning to Kavala, thus he settled there. Knowing that the Ottoman Empire was falling, Ali didn’t link his ambition with it. “I am very much aware that the Empire is daily moving towards its crumbling. Over its ruins, I will built a great kingdom,” wrote Ali on his memoirs. And this is exactly what he did. His achievements were so successful that his successors would reign over Egypt until the monarchy fell in 1952. According to renowned albanologue Robert Elsie, one of these kings, King Fuad I, even traveled towards Europe in failing attempts to get support in acquiring the Albanian throne after the country had already declared its independence from the Ottoman Empire in 1912. However, prior to his grandchildren being kings, Ali had to build a kingdom first. Fahmy explains that in order to do that he needed a modern army, yet, an army cannot be established under a vacuum. The setting up of an army requires schools, which on their behalf need publishing houses. To have fierce soldiers, the country needs a healthcare system which requires doctors, who require trainings. So a country needs a medical school which needs books that need translating, which need another sort of expertize. Thus, Fehmy explains, step by step within 40 years Egypt starts being modernized. Either by accident or plan, Ali managed to bring Egypt in the 19th century and changed the structure of the Ottoman Empire more than any other factor in 500 years. Political scientist Jasmin Mujanovic explained that Ali was pretty unique in the ways he used to ensure his power and success. Mujanovic wrote that Ali understood that the Ottoman Empire was not in the same state it used to be, thus he started to show himself more progressive by imposing many social and political reforms in providing a stable heritage. Ali is part of a “strategy book” upon which Balkan leaders act, especially one of the most important points paid attention to was when the empire fell in crisis. Mujanovic explained that Ali tried to create alternative local resources to help his citizens to survive on periods of crisis. Mujanovic points Montenegrin prime minister Milo Djukanovic and Bosnian prime minister Bakir Izetbegovic as part of this school of thought, by acting as strongmen against one another in the region’s advantage. “The Ottoman Empire has been declining longer than most empires exist, so there is a very long period of learning until the Austro-Hungarian Empire comes to the Balkans and there is another falling. So get this institutional reminder of how to make political judo, by pushing your opponent in the direction you want him to go,” wrote Mujanovic. The political scientist said that even though Djukanovic certainly doesn’t Ali’s biography, but there exists a certain wide political methodology that these rules traditionally had because they were exposed to similar political conditions and this a political knowledge inherited through generations. He notes that there are more similarities than differences on how Balkan and Middle East elites have behaved comparing to contemporary ones. What differentiates Ali from many other contemporary leaders and Ottoman rebels was his total lack of nationalistic ideology. He chose neither his origin Albania or birthplace Greece as the place to build his kingdom. In 1827 he interfered to the Greek independence war against Ottomans, for which Ali lost his fleet. Nevertheless, he would turn against the Ottoman Empire and almost assume it. Beginning 1830 Ali’s son Ibrahim Pasha, led Egypt’s modernized army alone only a few days away from Constantinople. French diplomat and adventurer Baron de Bois-le-Comte reached the army while its advances and went to Ibrahim’s tent for an interview. According to de Bois-le-Comte’s later published book it was stated that Ibrahim alleged that his grandfather (Ali’s father) was from Anadole and arrived from Kavala after leaving due to a family fight, whereas his grandmother was from Drama, a small town located in the north from Kavala. Ali marching towards Constantinople was stopped by Russia, which forced it towards the negotiations table. However, for Russia these negotiations weren’t very fruitful as it left Ali a his successors with a considerable empire which would last for more than a century. Even if Ali was an Albanian or not, a significant part of his heritage was. After the first and last monarch of Albania King Zog, left after communism emerged to power, Ali descendant King Farouk invited Zog to settle in Egypt, where he stayed for more than a decade. In a more humane level, behind the La Grotta bar in the de-facto capital of Ramallah in Palestine, the Albanian flag hangs. When bar owner Shadi Zaqtan was asked in 2017 why the flag was hanging there, he explained that his ancestors were among the 4000 soldiers that crossed the sea with Ali in early 19th century.Regardless that Zaqtan doesn’t speak a word in Albanian, he still keeps a necklace on his neck with a two-headed black eagle on a red medallion. Apart from the heartwarming relationships among the royal families and the unknown family trees, the real heritage of Ali is modern Egypt. Without his unique attempts to survive and flourish in the midst of the Ottoman Empire’s wrecking, the modern national state of Egypt as we know it might have never existed. “His survival until the end is an evidence to his political genius,” noted Mujanovic. [post_content] => TIRANA, March 14- On behalf to the exhibition “The transitory state of possible stories” by artist Valentina Bonizzi hosted at Zeta Gallery, a talk between scholar Brunilda Pali, activist Diana Malaj, and curator Luisa Perlo, will be organized at the gallery on March 16 at 6 p.m.. The three guests have written on Bonizzi’s work from their personal curatorial, narrative, and collaborative perspectives. Thus, both the visual works and writings will be unraveled through a performative conversation. The Transitory State of Possible Stories a solo show by artist Valentina Bonizzi, who lives and works between Albania and Milano, and curated by Luisa Perlo. The questions of what exists inside the law and what is the ending story are reflected in the selection of her works, realized and produced in Albania between 2017 and 2019. 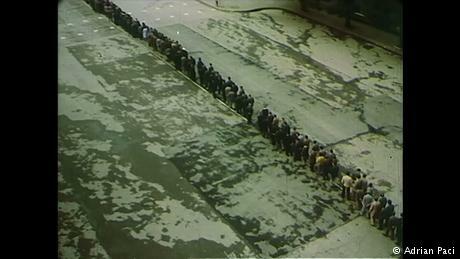 The works have been produced in a series of actions with a participatory element made by the artist through two “counter-architectures” :the Prime Minister’s Office Building, built during the Fascist occupation between 1939 and 1941, and the city of Kamza, considered the periphery of the city Capital, built by migration coming particularly from the north of the country after the end of the Communist Regime (1991). In the exhibition, the two narrations, the central and the peripheral, become complementary: the system of power in which we live is included in the written word and its oral transmission, the permanent and the temporary, what appears concrete and the series of fluid stories inhabiting individuals and communities. The space between these meanings is the place where the artistic work places its poetic potential, or the possible one, which is about our relation with the law and its narration. Brunilda Pali is a postdoctoral researcher at the Leuven Institute of Criminology. Brunilda has studied Psychology at the University of Bosphorus, Gender Studies in the Central European University, Cultural Studies in Bilgi University, and Criminology in KU Leuven. Her areas of interest are feminism, critical social theory, social and restorative justice, and arts and literature. Brunilda writes on restorative justice in Restorotopias, a blog about  another place that engages with restorative praxis. It finds anchorage in heterotopia, a concept used by Michel Foucault to describe certain cultural, institutional and discursive spaces that are somehow ‘other’: disturbing, intense, incompatible, contradictory or transforming. The website is an initiative that takes place within the postdoctoral project Restorative utopias in dystopian times: The shaping of restorative justice in the European penal systems and policies, granted to the author, Brunilda Pali, by the Research Foundation Flanders (FWO). Pali also writes on her other interests in the collective blog Security Praxis, which provides commentary and analysis, as well as ongoing discussion of current events and cultural artifacts related to security politics, policies and routines. Diana Malaj is one of the three funders of the activist group ATA (Kamza) which priority is the fights for the use of cultural spaces in their city, the only places where they have a possibility to gather. Diana is a law graduate and an activist focusing on the right of the accessibility to culture in the periphery, with a specific focus on the role of women in art and literature. She is interested in what she calls “the terrain of action and reflection” which defines the human being as a subject of law and right and her/his resistance as a creative act. Through activism with the ATA group, she has been able to explore various disciplines such as anthropology, journalism, art, literature and law, all of which are ways of re-conceiving the dimension of social movements and activism. Luisa Perlo is a co-founder of a.titolo, a non-profit organization created in 2001 by the homonymous collective of curators, critics and art historians, founded in Turin in 1997 together with Giorgina Bertolino, Francesca Comisso, Nicoletta Leonardi and Lisa Parola. a.titolo was the first curatorial collective established in Italy and one of the first organizations in the country to work with artistic projects in the public realm according to collaborative, participatory and process based methodologies. a.titolo investigates and promotes the relationship between art, urban and social environment by curating public art and context-specific projects, exhibitions, workshops, residencies, video, performances, experimental and multidisciplinary programs for learning and cultural production.